Since my life-changing event in February of this year I have embarked on a mission to accept any invite to any event in Port Elizabeth – still waiting for that invite to the opening of an envelope! 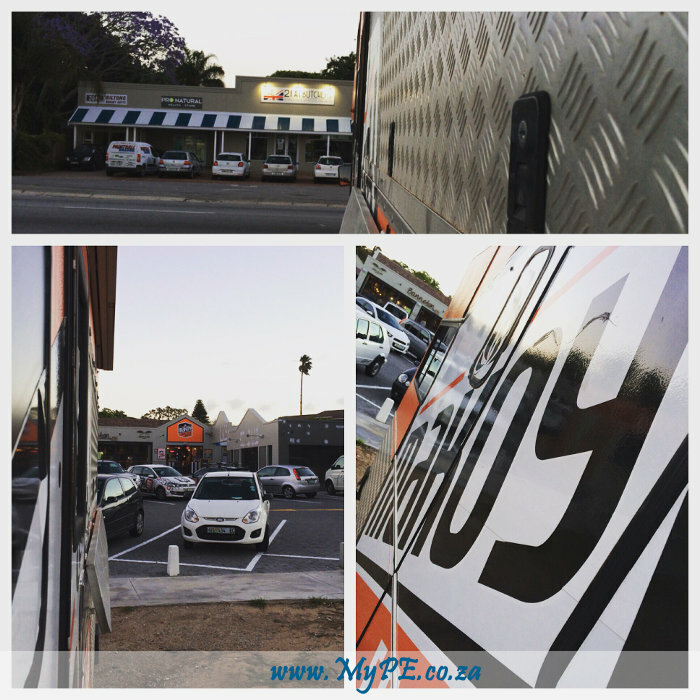 Last night was the turn of the Makoy Fast Food Diner at 152 Main Road, Walmer. As a recently converted vegetarian (that still eats fish) I was eager to see what Makoy would dish up for a ‘fussy eater’. To compound my ‘fussiness’ I also do not drink alcohol – this was probably the hardest of my vices to give up but the pain eases the more I see my old body returning. My mind was put at ease when owner Dewald Hurter informed me that the space was originally occupied by a vegetarian restaurant and that his wife, Lisa, was also a vegetarian. As I watched guests pile into meat dishes I was assured that a vegetarian morsel was being prepared for me in the kitchen – a vegetarian wrap with tofu, butternut, sweet potato and crunchy bits which was delicious. A chocolate and nut filled spring roll for dessert and I was replete. Look out for Dewald’s catering business Flair Catering, his Makoy Food Truck and pop in at 152 Main Road – right opposite the 2 Fat Butchers. Makoy is presently not licensed so BYO or pop in at Ben Koppen in same complex to get a few craft beers to go with your meal. Related: Follow Alan Straton on Instagram.